In 2008, Blue Ridge Architects designed a classroom addition to this private school in Winchester, Virginia. As part of that project we completed a master plan that included a new gym. In 2016 we were asked to design the new gym which opened in early 2017. The facility includes locker rooms and ample storage space. 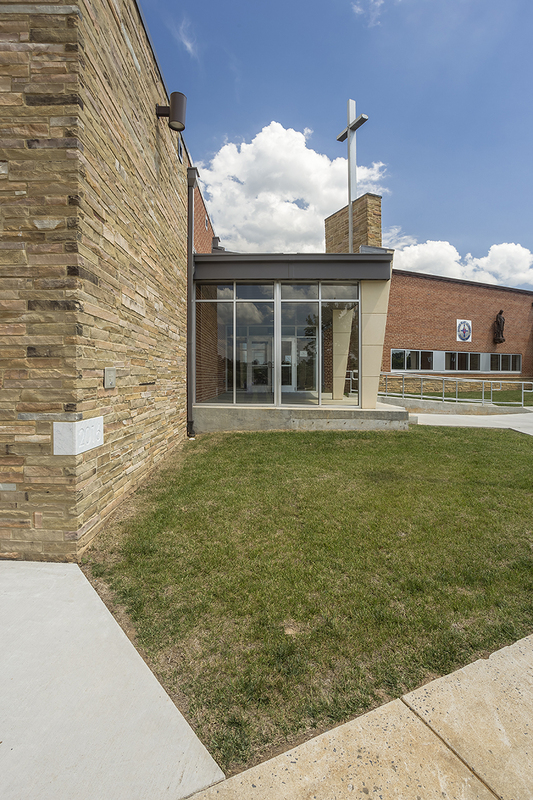 The project included renovation of the existing, adjacent multipurpose room. We added a stage and expanded the existing kitchen.